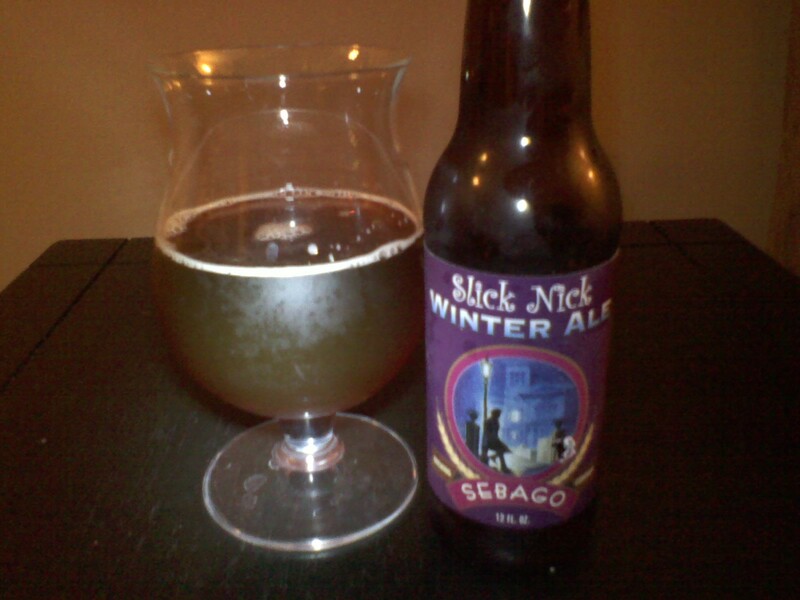 Slick Nick Winter Ale by Sebago Brewing Company reminds me of black iced coffee with first taste also has a nutty after taste and cidery Carbonation. Definitely a winter beer. Goes great with Steak. I give this beer a 8 out of 10. Previous Post Whats for dinner tonight? This is actually a Beer of the month club. My husband and I decided to treat ourselves for a month and got 12 different beers. Its something fun to do and not to expensive especially if you like different beer. But you might be able to take this name to your local beer distributor and ask to see if they can order it or if they carry it in stock.